Want to buy Ripple in India? Cheers, welcome aboard. It’s fairly easy! 2017 was all about Bitcoin where we saw it turn many investors into millionaires. While in 2018 Bitcoin would remain just as big of a phenomenon, other Cryptocurrencies would too enter into the mainstream. Ripple is at the forefront of this trend. It is the third-largest cryptocurrency by market cap right now. More and more people around the world are expanding their portfolio and buying this virtual currency. One of the best things about Ripple (XRP) is it's highly scalable. It facilitates fastest transactions—handling 1,500 transactions per second. And this is the reason why many top banks around the world have embraced Ripple with open arms while other Cryptocurrencies are still struggling to find acceptance from authorities. In short, Ripple can totally redefine how international payment is done. And that is its biggest charm. Thankfully, buying Ripple in India isn’t difficult. It’s just as easy as buying Bitcoin. In fact, if you have invest in Bitcoin, you would find it very easy to buy Ripple in Indian currency. Because you already know how these things function. You simply make an account on an exchange that offers Ripple. Then verify your KYC documents. Depending on which exchange you have chosen, this verification process can happen anywhere between an hour and few days. Once you have a fully functional account, deposit money from your bank account to that exchange account. Now use this money to buy Ripple. Similarly, when suitable, sell your Ripples. The amount you have got after selling will reflect in your account. Withdraw it to your Bank account. This is only right for those who have invested money in Bitcoin. And want to transfer that amount to Ripple. The process is rather simple. There are many cryptocurrency trading services out there, where you can convert one virtual coin to another. Changelly.com is possibly the most popular platform, where you can convert Bitcoin to Ripple in just a few simple clicks. You input the amount of BTC you want to convert to XRP. Provide the recipient wallet address where you want to receive your Ripple. They will generate you a QR code or a wallet address. Now you have to transfer the amount of Bitcoin to this address. That’s it. Changelly would convert your BTC to XRP and transfer your Ripples to the recipient wallet address you have provided. This whole transaction can take anywhere between 5-30 minutes. Step 4: You will get a QR code and a wallet address. 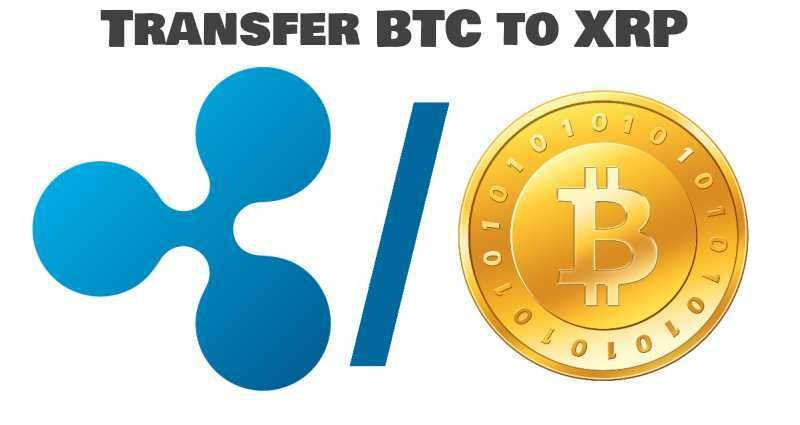 Transfer your BTC to this address from your Bitcoin exchange. Step 6: Your new amount of Ripples will be transferred to the recipient wallet you have provided in Step 3. Note: Changelly will charge 0.5 percent fee. That’s it. You have just successfully transferred your BTC to XRP. Congratulations! 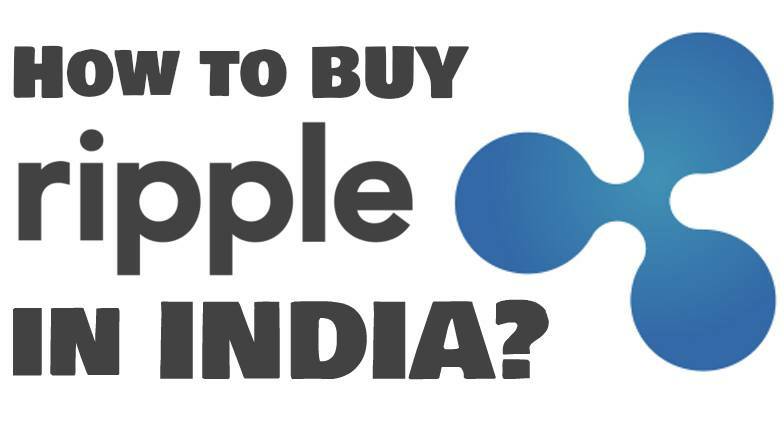 These are the 2 two ways how you can buy Ripple in India using INR. In recent times many cryptocurrency exchanges in India has emerged on the scene. However, you should only stick to the popular and most reputed ones. Remember, the news of frauds in the crypto world is very common. So you have to be very careful. Zebpay is expected to introduce Ripple trading very soon. Ripple purchase in India is fairly easy. So do it today before the ship leaves. At the time of writing this, Ripple in Indian price is at Rs 142. Select the right exchange above – or the ideal method – and do it! Subscribe to Bitcoin India Wiki.